*Disclaimer: I received this wine as a sample from St. Supery Vineyards in order to participate in the St. Supery Twitter Taste Live. I must say, I really enjoy participating in the Twitter Taste Live events. It’s a lot of fun to see what other folks think in real time about the same wine. We try to have people over to the house too to let them taste with us, like we did with this tasting. 15 people drained the St. Supery wines in a heartbeat! 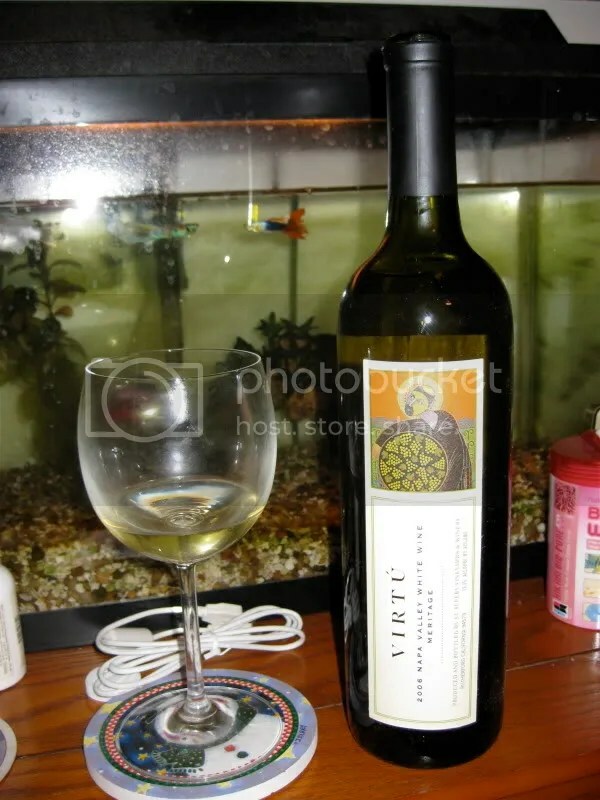 The second wine up for the night was the 2006 St. Supery Virtú. It had a real cork closure, clocked in at 13.5% alcohol by volume, and retails for $28. 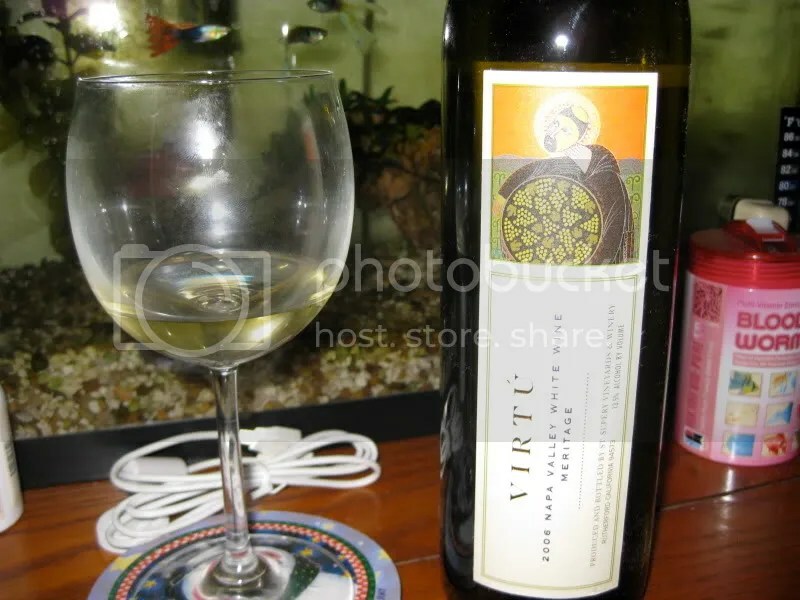 I really liked this when we tasted it at the vineyard and we took home 3 bottles. On the nose I found the wine to be really spicy. I also got cedar, oak, pepper, lemon, orange zest, mulled spices, candied pineapple, and lime. I must admit I was surprised…these notes are incredibly different from the notes I took at the winery. I’ll have to pop one of our bottles and see what the deal is. In the mouth I got oak, pineapple, lime, lemon, spices, nuts, and a little cream on the back palate. I’m definitely going to break open one of my bottles to compare.